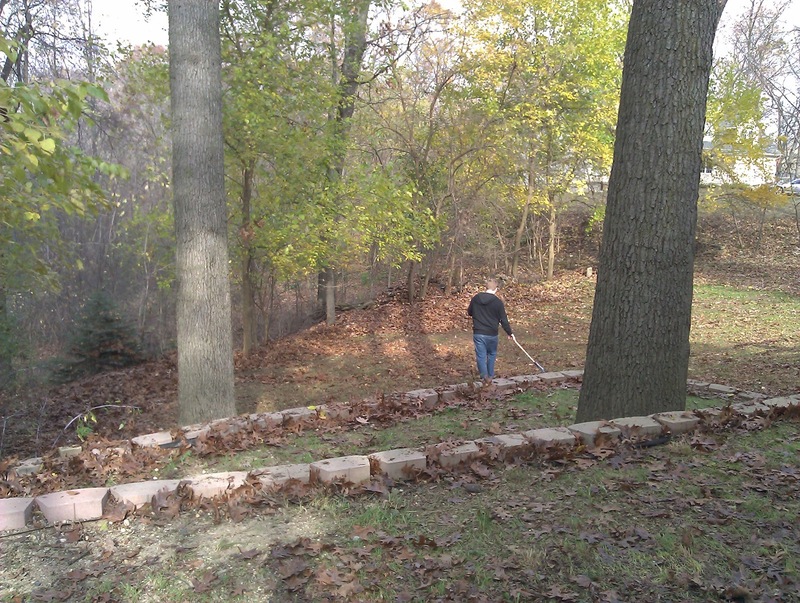 It's been several years since I've had to rake any leaves. I guess that's the byproduct of living in an apartment for so long. So I wasn't looking forward to doing any raking. Especially in our back yard. 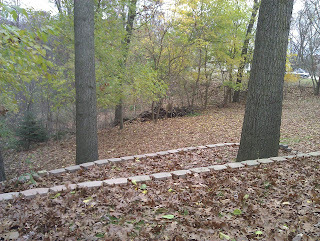 The front yard wasn't too bad, but the back is sloped and has three levels to it. Those bricks, as you can see, really like to hold onto leaves. We spent several hours raking and we're still not quite done. This city doesn't offer leaf pickup in the street, like the city I grew up in. It also doesn't offer a trash service, so yard waste collection is slim pickings. In fact, they only pick up leaves, bagged, once. In the whole year. Just once. So our alternative is to pay for a private company to pick up the leaves, rent a trailer from the city/dump the leaves somewhere, or attempt to mulch them like crazy. So we're trying to mulch as many as we can and we'll likely have to bag the rest. I see more mulching in my future.